This post will show you the colors disposition on the HP tricolor ink cartridge. 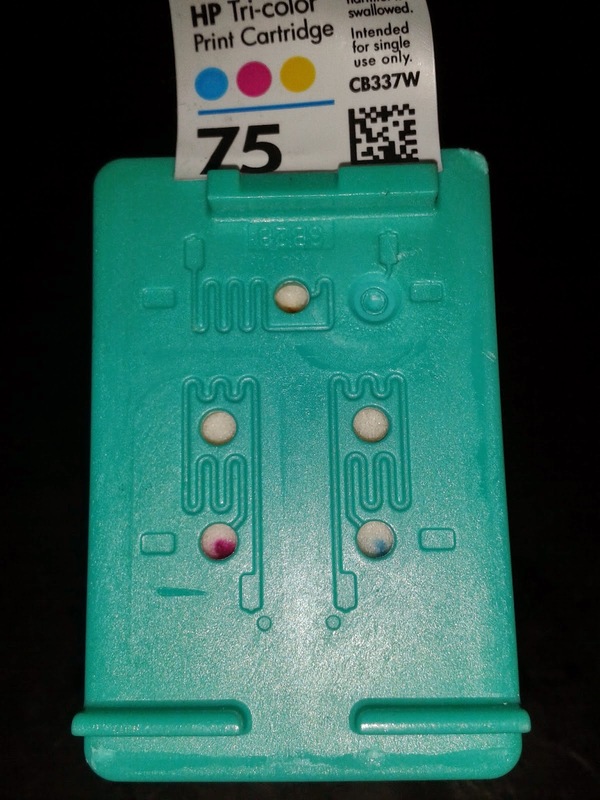 The HP tri-color ink cartridges are composed of three colors (Cyan, Magenta, and Yellow) as the sticky label on the top of the cartridge stated. However, if you are trying to refill your ink cartridge and you follow this color disposition you will completely ruin your ink cartridge for good. 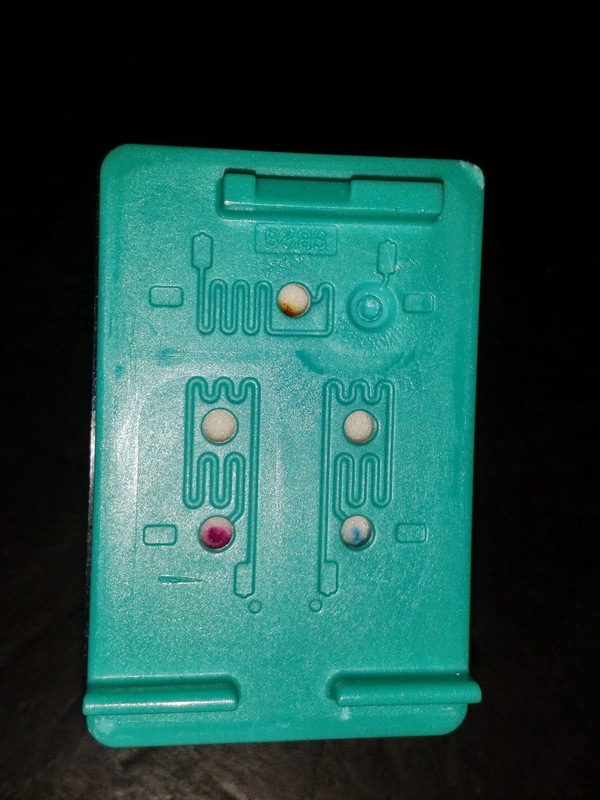 The color order on the label is not the same sequence on the cartridge itself, and it even not where the holes are located on the cartridge. This is why we always recommend removing the sticky label before refilling the ink cartridge, not only to allow an airflow into the cartridge but also to help you and ensure that you are refilling the right colors into the right spot. As shown in the picture above, the colors do not match the label color combination. If we look closely at the picture, we can see where each color goes and where to refill the ink cartridge. During the refilling procedure, you must do inject the ink as slowly as possible to allow the inner sponges to soak the ink. If you have any question, please leave a comment below and we will answer as soon as possible.